CAFOD volunteer Cristina found her inner strength while walking the Camino route. Cristina grew up a stone’s throw from the famous Camino de Santiago pilgrimage route. She always knew she wanted to walk the trail one day. 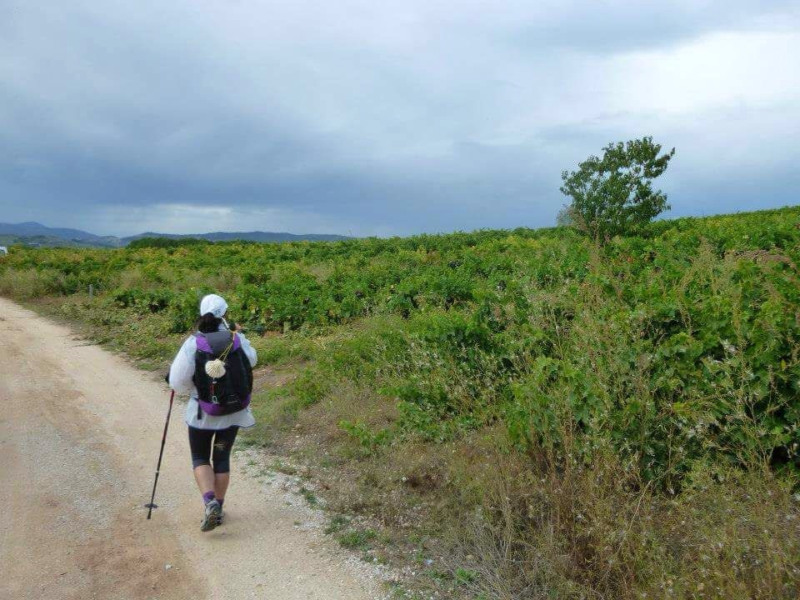 Here she shares how walking the Camino helped her find her inner strength. 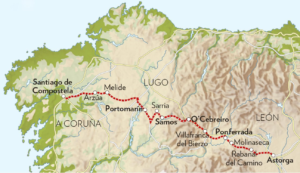 The Camino de Santiago (the Way of St James) is a large network of ancient pilgrim routes. The roads stretch across Europe and come together at the tomb of St. James (Santiago in Spanish). 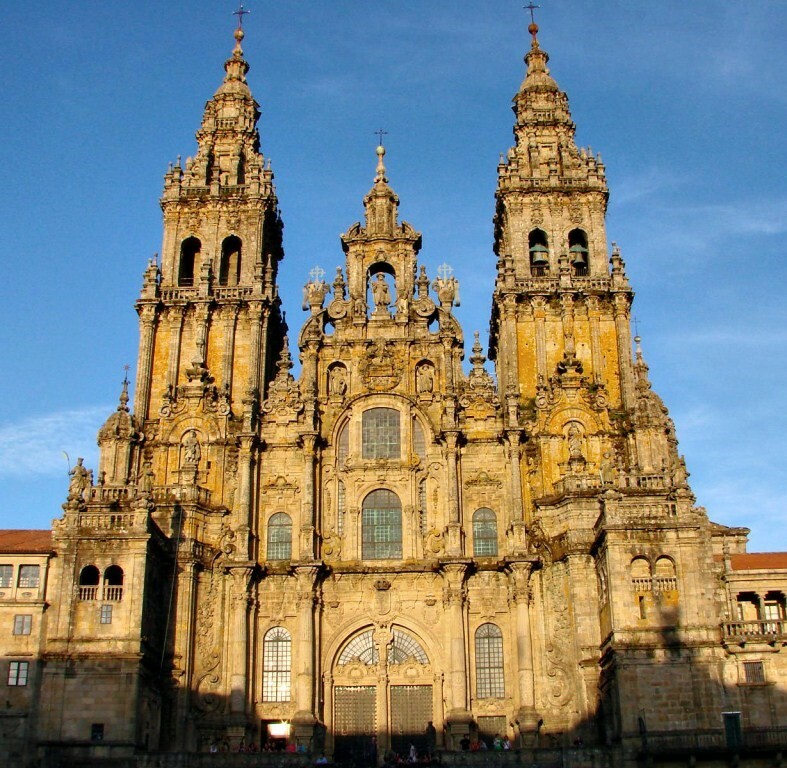 Santiago de Compostela is in Galicia, north-west Spain, where tradition has it that the remains of the saint are buried. Many follow its routes as a form of spiritual path or retreat for their spiritual growth. About 250,000 people walk all or part of the centuries-old Camino de Santiago trail across the Spanish countryside every year in a once-in-a-lifetime experience. The motivations vary. Some undertake it as a religious pilgrimage. There are hikers who walk the route for travel, sport, or simply the challenge of weeks of walking in a foreign land. Having been born in Leon, one of the many historic and beautiful cities on the way, I used to see pilgrims passing by from a very early age and I have witnessed the raise in popularity of the pilgrimage. Many friends have walked the way or part of the way and their stories inspired me and made me want to do it too. I postponed it many times for different reasons. One year it was because the summer was especially hot. Another summer because it was too crowded since it was Holy Year. I guess I was not ready, but in 2013 I got serious about it and started planning. The main problem was taking around 28 days off work, which is approximately the time it takes to walk the way from St Jean-Pied-du-Port. Since this really was not possible I settled on walking part of the way. I walked from Leon to Santiago, which took 10 days. This last part of the way has very varied landscapes and each with a unique charm. I walked through wild, deserted hills, farmland, vineyards, dense eucalyptus forests and damp, green hills. Walking the Camino is not difficult since most of the stages are fairly flat. The main difficulty is walking continuously for 10, 20 or even 30 days. Even if you train in advance doing little walks of 8 or 10km, the real training is the 4 or 5 first days of El Camino. Once you have done those the rest becomes much easier. I vividly recall my stage 2 from Rabanal del Camino to Molinaseca. This stage stretches over 25 km and starts with a long although not too steep climb until you reach the highest point in the Camino, Foncebadon. Despite the rain and the cold weather I enjoyed the climb. The views were breath-taking and that kept me going but I was not ready for what was to come – the climb down! It was a very steep path made up of big, loose stones and rocks of different dimensions. After a couple of kilometers the soles of my feet were in complete agony. I had to stop many times because of the pain but then I realised it was better not to stop since getting going again felt almost impossible. But there was no choice here. I had to continue. There were no cars, no public transport, no alternative but to continue walking despite the pain. I remember the desperation of having no alternative but enduring the pain I was feeling. When I arrived at the hostel I felt incredibly relieved. I took a long shower and rested my feet in water for almost an hour. The pain eased a bit but not too much. I seriously thought I would not be able to walk the next day so I went to bed thinking “let’s see how I feel tomorrow.” The next day I was not much better, but I started walking thinking I would walk until I could and then stop if I needed to. The first few kilometres were hard, but the rest became easier – or I got used to the pain – and I was able to finish the 28km stage. It is that endurance which I think is the most valuable lesson of my Camino experience. I had to stretch myself to overcome a situation that looked impossible. I have since experienced challenges at work and challenges in life when I felt I was not able to continue. But I found my inner strength in Camino and at difficult moments I always think back to those kilometres when I managed to achieve what seemed impossible. I would encourage anyone to take a similar walk. It is a fantastic, humbling experience – a time to reflect and to learn about yourself. It was certainly an experience I will never forget. You could do the camino as your share the journey walk or you can do the Camino as a sponsored walk. Enjoy your walk or as the say in Camino “Buen Camino”.